Note: Some of the parts in some assemblies come packaged in seperate smaller bags because they come with a bracket or other various part. 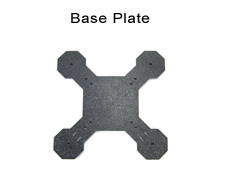 Please review the entire parts list to ensure you have all necessary components. 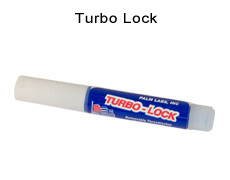 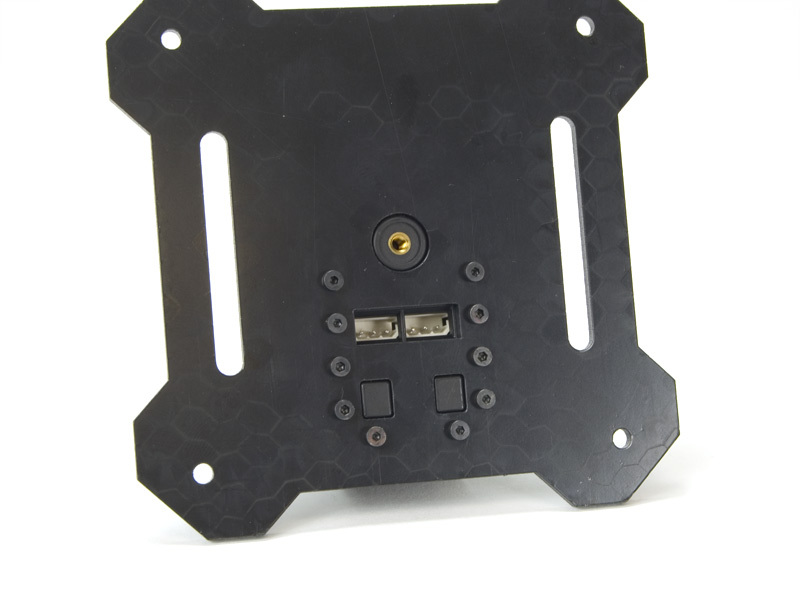 Some kits will have spare bolts, nuts, or screws included. Attach the rubber feet as shown or as desired onto the legs of the "X" shaped bottom base. 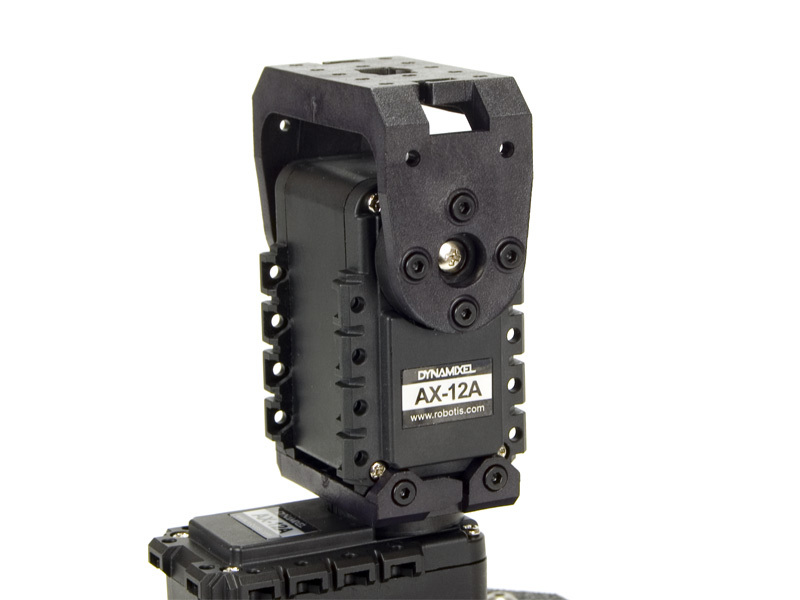 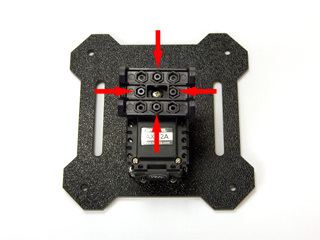 Attach the four 4-40 x 3/8" standoffs to the arbotiX as shown using four 4-40 1/4" button head bolts. 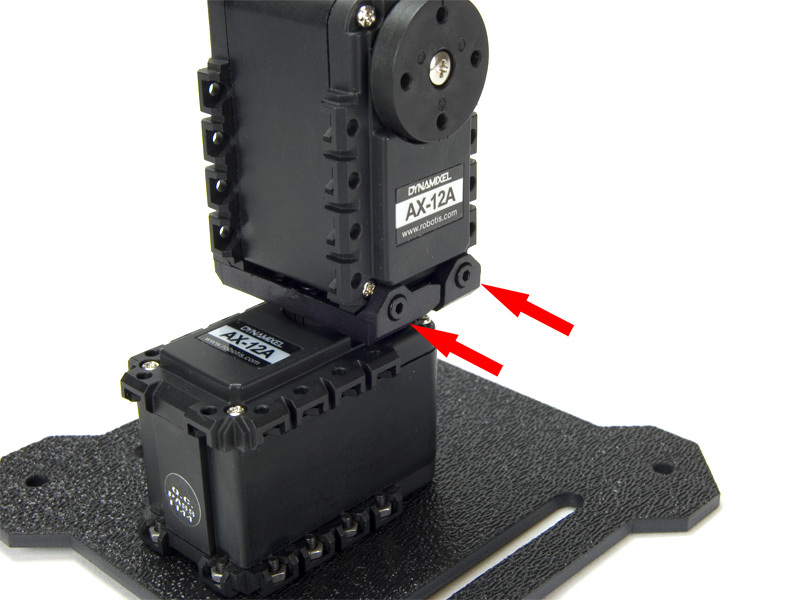 Attach the arbotiX to the base as shown using four 4-40 3/8" button head bolts. 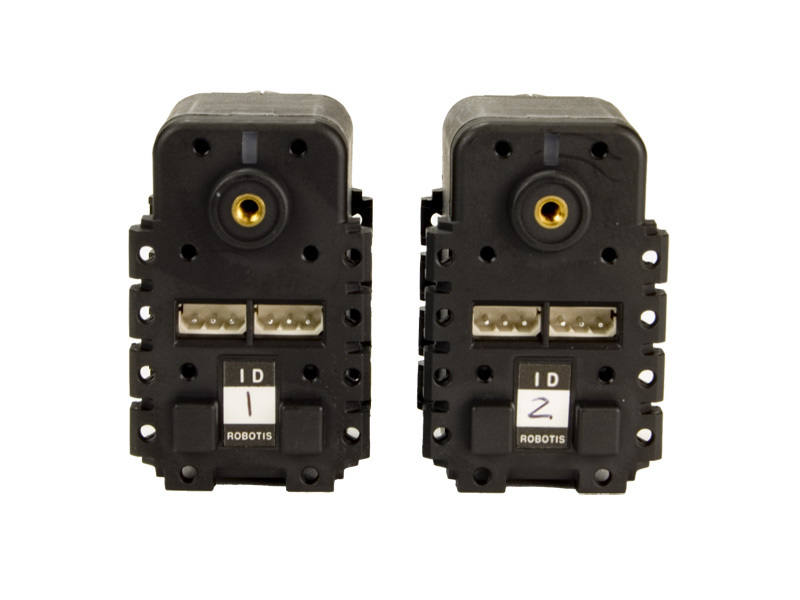 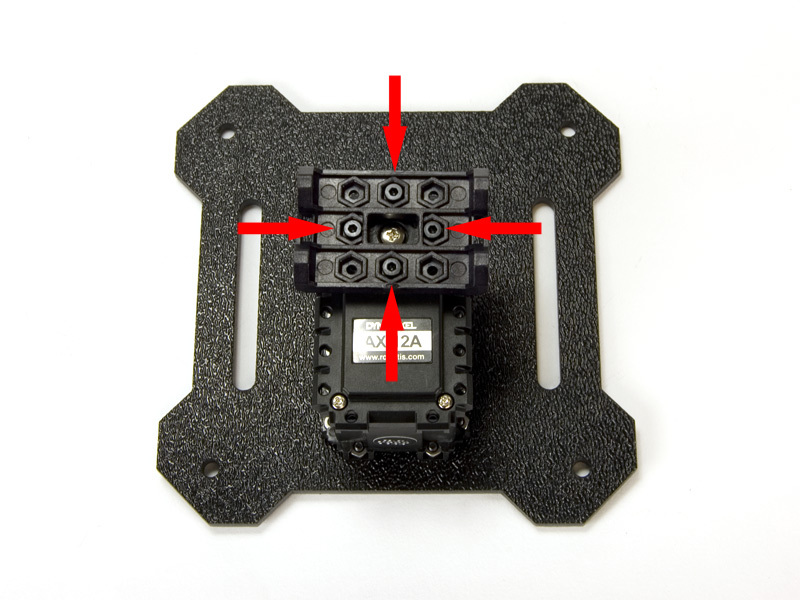 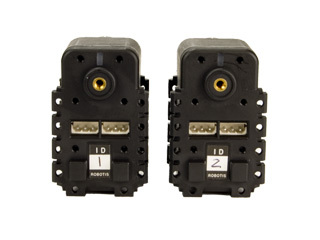 Orientate the arbotiX so that the power terminal blocks are next to the cable tie slots. 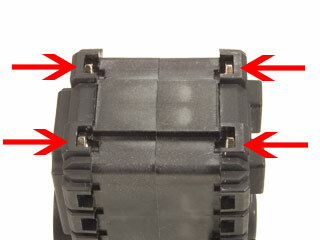 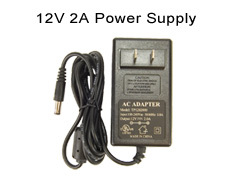 Screw the Female Pigtail Lead into the power terminal blocks. 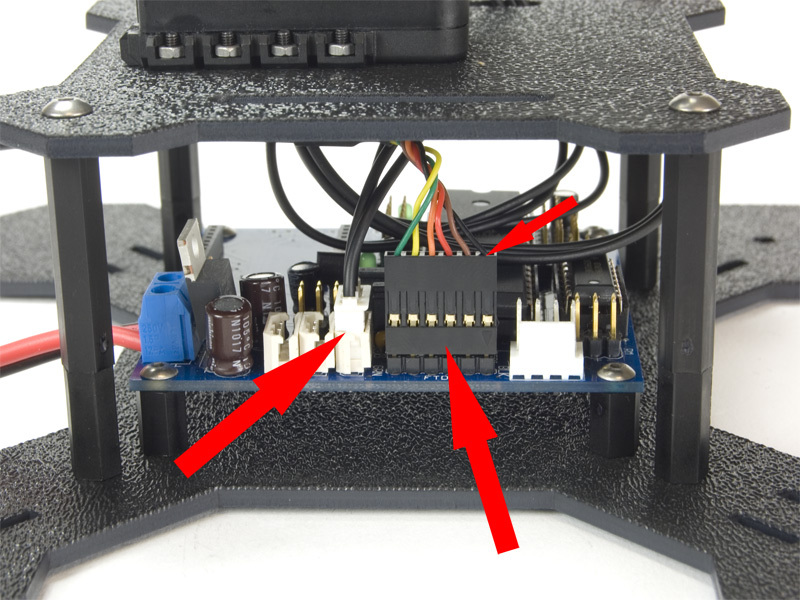 Make sure the red wire is on the right (positive). 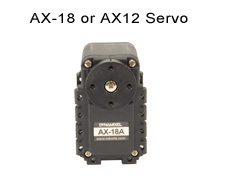 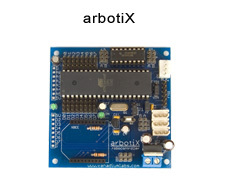 Your servos are labeled with servo IDs. 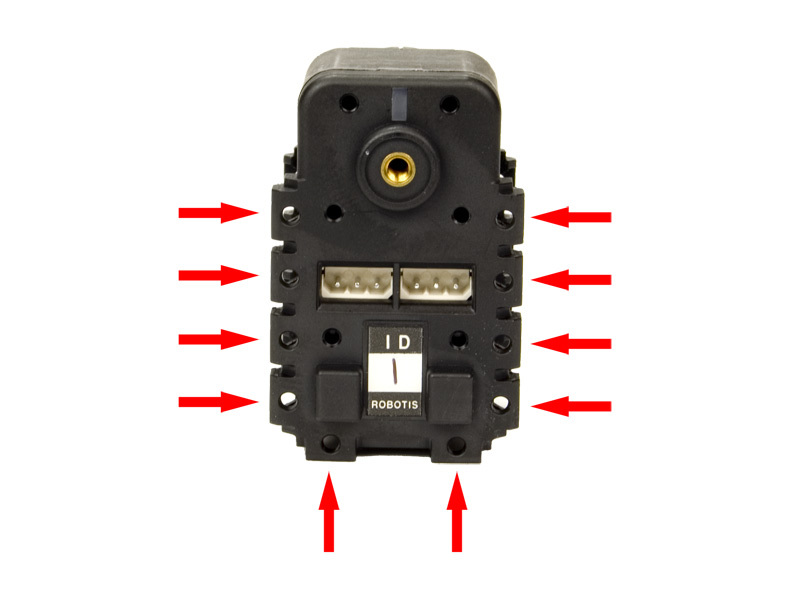 Be sure to not reverse the servos during assembly. 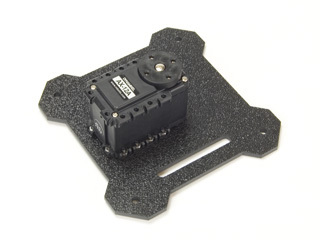 The servos come preprogrammed with IDs to identify to the controller which one is Pan and which one is Tilt. 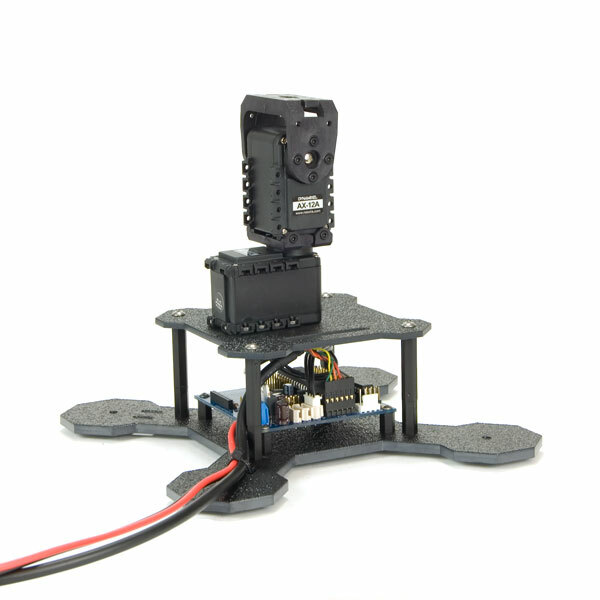 Push ten M2 nuts into the nut seats on the servo with ID 1. 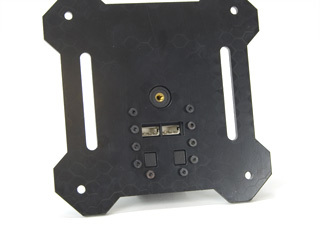 Bolt the servo down using 10 M2x8mm Socket Head Bolts. Make sure the servo horn is positioned properly by making sure the grooves on the horn and body are lined up. 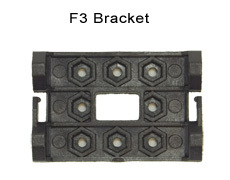 Attach the F3 bracket as shown. 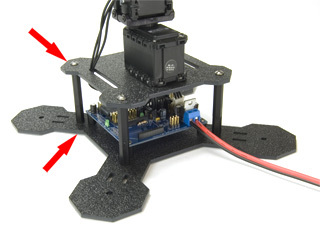 Push four M2 Steel Nuts into the nut seats on the bottom of the Tilt servo as shown. 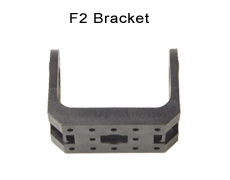 Attach the F2 Bracket. 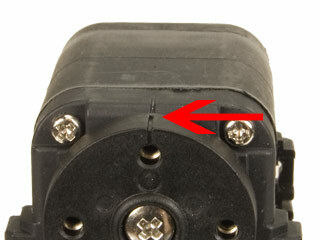 Start with the AX Hub Assembly side first as shown. 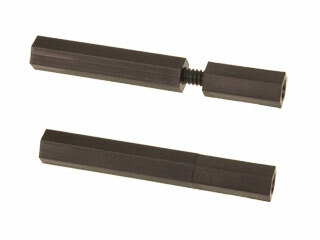 Next bolt on the other side with 4 M2 x 6mm Bolts. 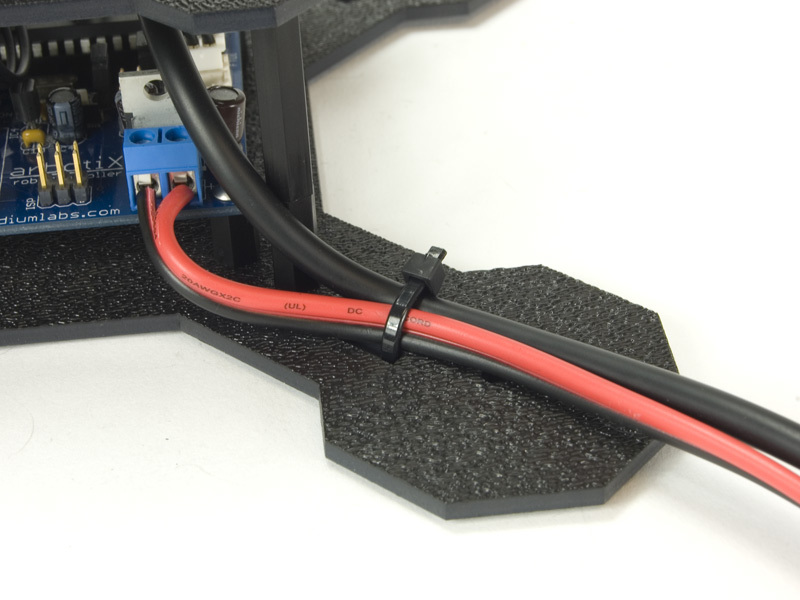 Run your servo cables as shown. 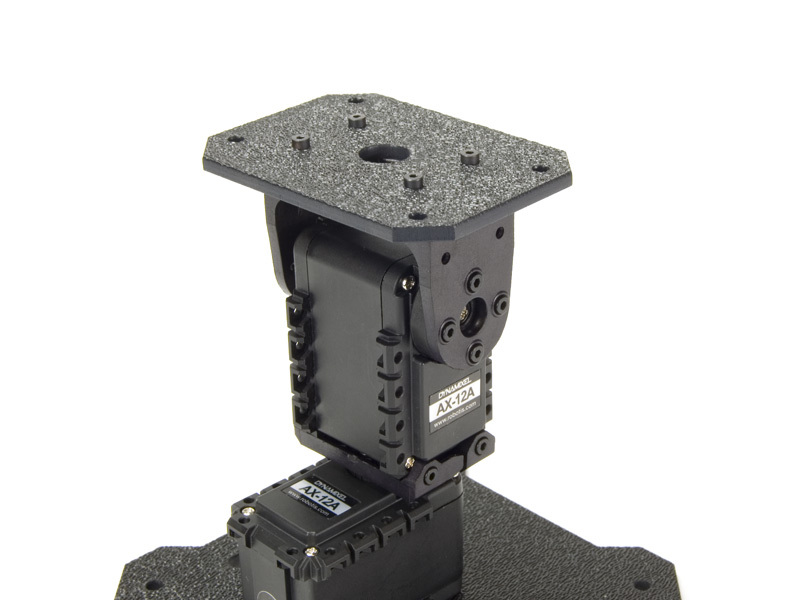 Screw the M/F 6-32 5/8" standoff into the F/F 6-32 1.25" standoff. 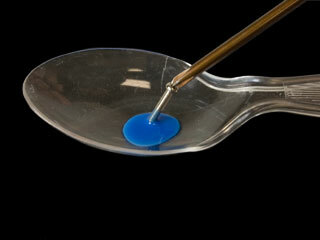 Tighten them snugly by rotating about a quarter turn past when the faces touch. 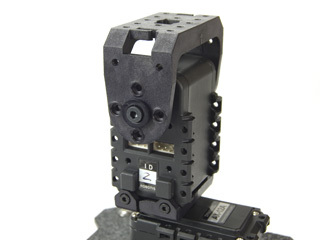 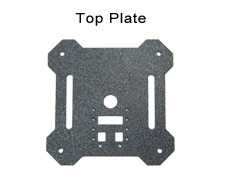 Mount the Top Plate onto the Base Plate using the Standoff Assemblies. 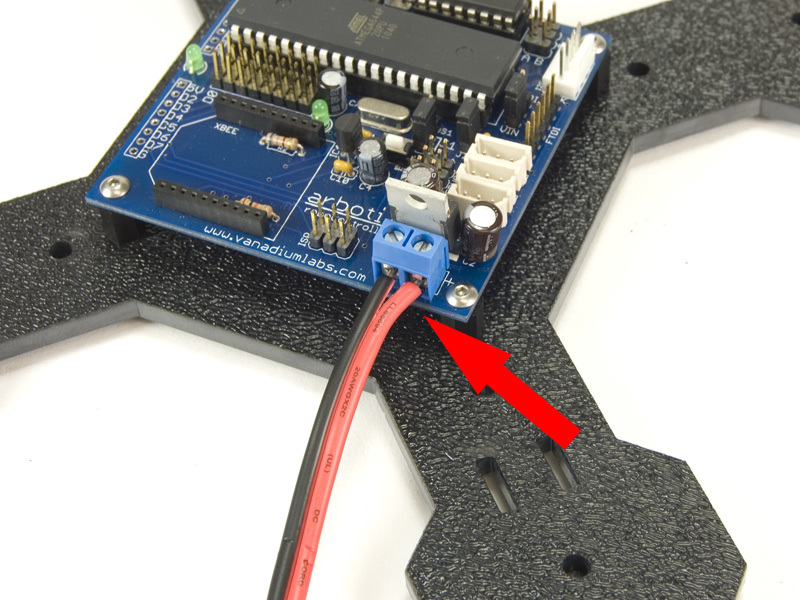 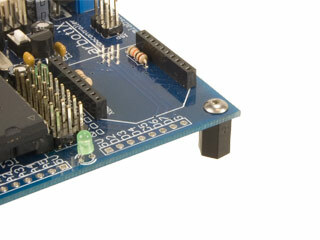 Plug in the servo cable and FTDI cable as shown. 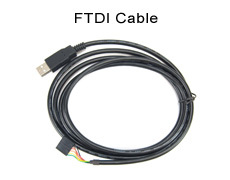 Make sure the black wire on the FTDI cable is on the right like in the picture. 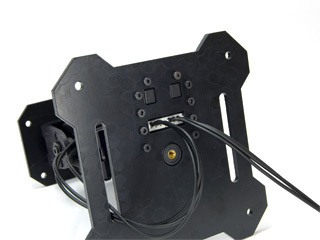 Zip tie down the cables to the Base Plate. 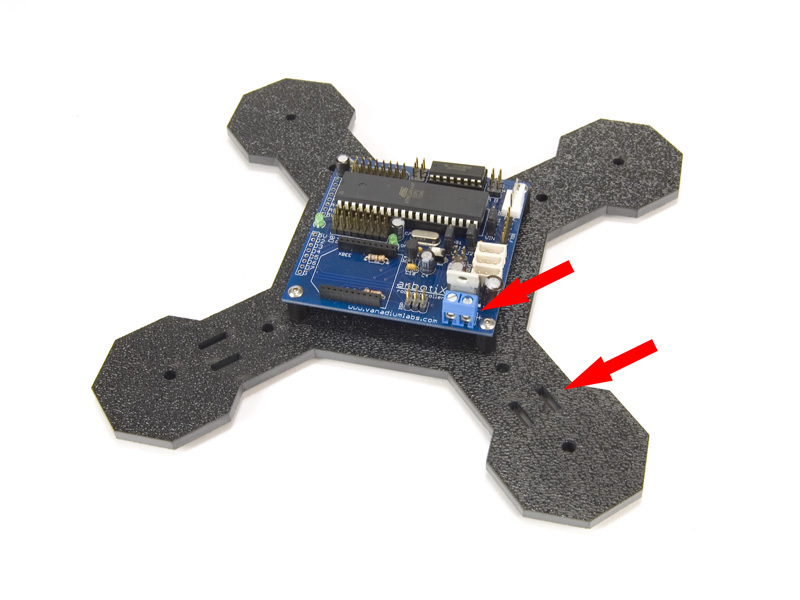 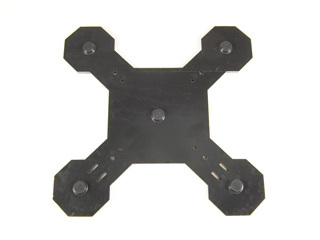 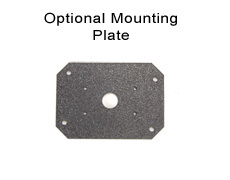 The kit comes with an optional mounting plate for those that need one in their project solutions.